ARCA is dedicated to providing quality substance abuse services to individuals with substance use disorders and their families. 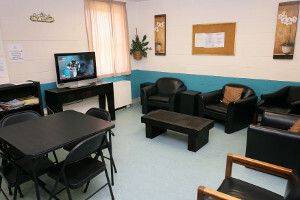 ARCA’s treatment program consists of evidence based practices, such as Cognitive Behavioral Therapy, Motivational Interviewing, Seeking Safety and Music Therapy, along with complementary holistic and alternative wellness techniques. Clients who are participants of the ARCA residential program must be ambulatory and able to actively participate in all aspects of their treatment process throughout our spacious campus. ARCA’s active treatment schedule consists of psycho-educational lectures, individual sessions, small group process, gender specific modalities, medical support, relapse prevention education and onsite AA and NA meetings. 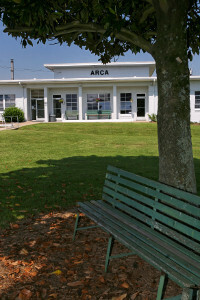 The ARCA treatment program is designed to help plant seeds of hope and recovery. A typical day at ARCA begins at 6:30am, when individuals are expected to shower, dress and present for breakfast at 7:30am. After breakfast, clients adhere to a schedule that includes therapeutic chores, medical support, individual sessions, psycho-educational lectures, gender specific group discussion, along with other therapeutic activities. Lunch is served at 12:20pm and dinner is served at 5:00pm. There is some free time allotted to the clients, during which they can complete homework assignments, participate in recreational activities, and take care of other personal needs. The therapeutic day concludes with clients attending a scheduled onsite AA or NA meeting. All clients are expected to be in their respective rooms by 11:00pm.